The Express rifle grip allows the forearm and hand to remain in a more natural position whether held extended and on-target or at a low ready position. 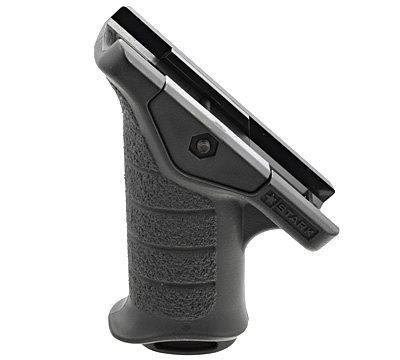 This feature provides ease of movement, comfort and quicker action than any other grip. Fits any AR style rifle. 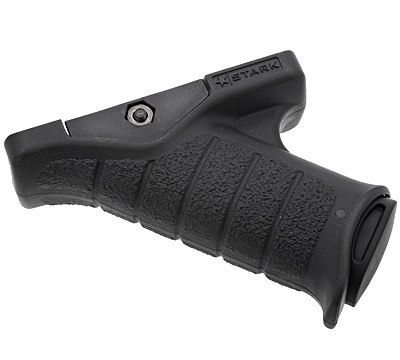 Made by Stark™ Grips. This rifle black grip is a nice added feature for the AR 556 that I purchased. But what this website doesnt tell you is that you will need the Tri-Grip part #18362 in order to mount it to the AR 556. Excellent little addition to my rail, I have big hands; and this keeps them out of the way. Also very sturdy, bonus is the storage compartment. Five stars because it works for me. 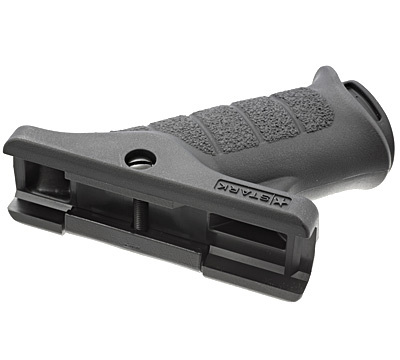 I recently purchased this grip along with the drop-in quad rail system to put on my AR-556. It fits perfectly on the rail and gives it a good look, as well as a great feel when shooting if you like angled grips. It has a rubber bottom that you can remove, Im assuming thats to hold a battery for any other accessories you want to put on the rifle. The rubber inserts give good grip on the rails and makes it feel more like youre gripping the stock hand guards. I would certainly recommend this! The best angle grip ever!!! 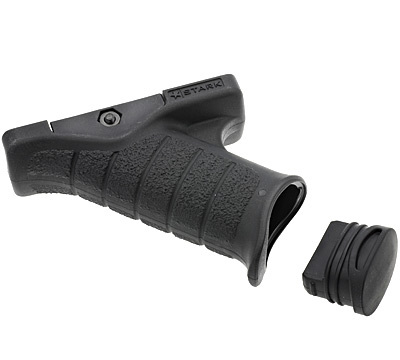 the feels of this grip is what magpul was aiming for and missed the mark by a long shot. I got 6 of the magpul grips that is going up for sale just as soon take them off. need I say more, Im very pleased with this grip..